If you’re an introvert, social media can often be very intrusive. It’s always on, always buzzing with thoughts and ideas and people trying to communicate and talk at the same time. If you feel stressed and tired of social media, then it’s time to close that Facebook browser, ignore those tweets, and stop double-tapping on that Instagram photo — and get yourself a Snapchat account. 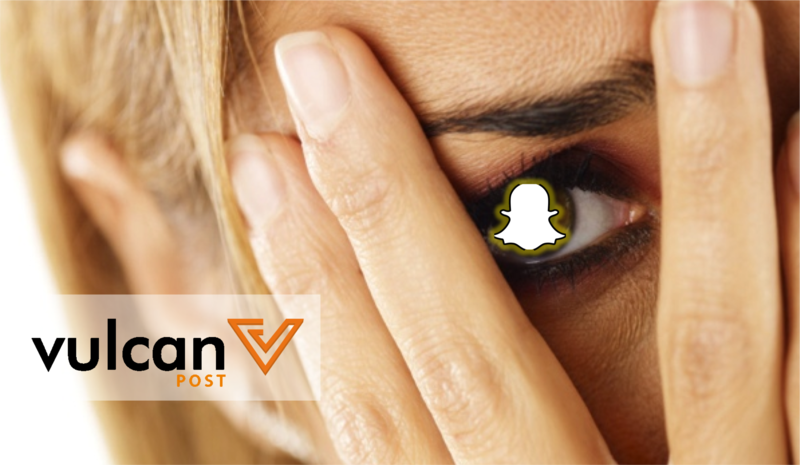 Here are the reasons why Snapchat is the social medium of choice for introverts. Truthfully, while I may know many people, I consider a very small group of them my friends. They are people I trust wholeheartedly and dare to bare my whole self to — and now, there’s an actual social media platform that will let me do that. On Snapchat, there’s no one to judge my friends list or how popular I am — in fact, there’s no way to even do so. It’s likely that your friends list on Snapchat more closely resembles your actual list of friends. If someone adds you and you’d rather not let them send you updates — ignore them. It helps that you can pick and choose which friends to send snapchats to. If you have that one Harry Potter reference that some of your friends won’t get, just mass send them to the ones who will. Your Patronus will know where to go. Snapchat even manages your friends list by categorising the level of friendship you have with each of them. If you and your BFF send the most pictures to each other, it’ll put a yellow heart next to his/her name. If you have a friend that always sends you more snapchats than you send him/her, it’ll put a smirking face next to it. Some people may find judging a level of friendship rude or even mean. Introverts find it natural. Instead of fiddling around with privacy settings, checking constantly what can be seen and what can’t, Snapchat is private by nature. We all know what it’s like to have that old photo dug up from the year you started your Facebook account 6 or 7 years ago, or having to clear out your exes’ photographs from your timeline. But while that drunk photograph on Facebook will stay and be judged another day by a future employer, it was already gone from Snapchat a few seconds ago. While most Snapchat users nowadays are using it to take a hella selfies, you don’t really have to. Selfies are awkward and maybe they’re not your style. But the options you have on Snapchat go far beyond selfies — in fact, they can be about anything at all. That’s the beauty of its creative options — you have a camera, tons to draw with, emoticons you can increase in size and move around, and a single line of text. You can use it to share your day with friends, or just show your unique perspective with the world. The possibilities are endless. And at the end of the day, when you just need to switch off from the constant buzz and chatter around you, you can set Snapchat aside and leave it be. As other social media channels are constantly moving and filling up with updates and news and posts, they may spark in you a fear of missing out (FOMO, anyone?). Once you’ve taken a breather and are ready to rejoin the human race, Snapchat’s messages from your friends are all still there, ready to be seen and caught up on. You can reply to them if you want, or not. But chances are you won’t miss out on anything your friends are trying to tell you — and if it was anything important, they’d tell you in person anyway.